Over the past 26 years, Vollett Executive Coaching clients have included senior executives, teams and divisions from organizations such as: 72andSunny, CP+B, Wieden + Kennedy, JWT, Chiat/Day, Doner, Make Technologies, MIT, Nike, and Citibank. Vollett Executive Coaching was founded by Jim Vollett, B. Comm. 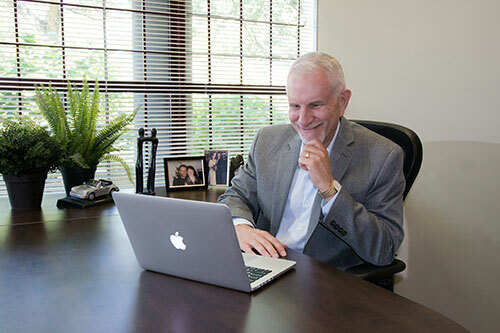 Jim has 35 years’ experience working with the senior ranks of some of the top organizations in the world. He works closely with the senior executives, as their individual and corporate coach, helping them improve their leadership and drive their organization forward. He joined forces with Susan Cannon in 2012 to combine her background in innovation, leadership and her work with senior women executives. 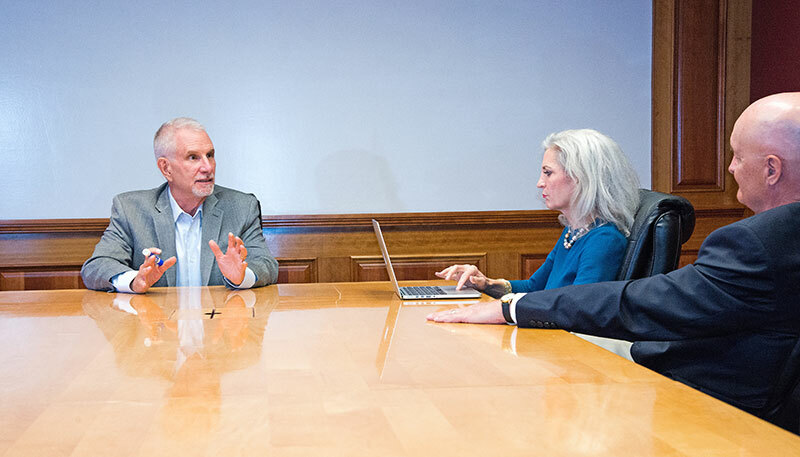 In coaching CEOs and senior executives, Jim and Susan have developed a unique understanding of the qualities behind a great chief executive, and their senior management team. They often work with such executives on their work-life balance, their personal leadership and their business strategy. They also reveal powerful insights behind the qualities and characteristics of top talent. And often what emerges in this coaching is the need to include the home life. 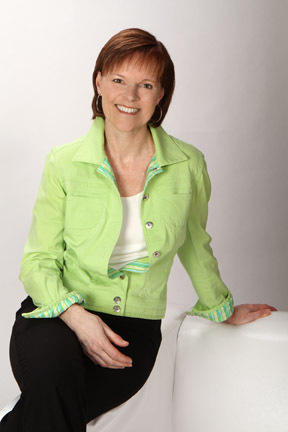 Shirley Vollett specializes in life and relationship coaching. She is a great resource for the spouse and partners of VEC clients. 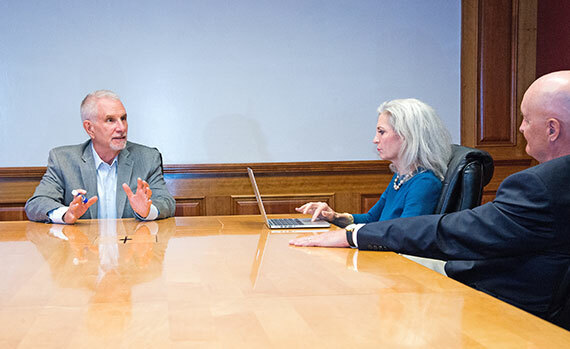 Jim is a pioneer in the executive coaching field, founding Vollett Executive Coaching in 1990, based on his previous experience as Business Manager of one of the first entrepreneurial incubators. As well, he is a seed capital investor in both business and social innovation. Jim has an undergraduate degree in Business from the University of Saskatchewan with a focus on information systems, general business, and sociology. It took him fifteen years to put this together in one profession—coaching. He acquired a CMA designation (which is now CPA). From 1980 to 1985, Jim completed over 1500 hours of training in transformation, coaching methodologies and human development, that he eventually called his entrepreneurial PhD. He did this while leading several tech initiatives in the food and oil industry. This left him with a deep abiding interest in how the human nervous system interacts with technical and organizational systems. To that end Jim completed the four year Feldenkrais training, which is the study of the human nervous system. However, Jim left that training with a clear awareness that technology was not the constraint in our world; innovation was.There were more good ideas than people able to implement them. He then re-focused his career on innovation and developing the people and businesses necessary to implement innovation. He had become a controller at age 22, VP finance of a start-up at age 33, and the CEO of a entrepreneurial public company at age 38. Soon after, he launched Vollett Executive Coaching. Vollett Executive Coaching itself has gone through several innovation cycles, expanding from a Vancouver based business, to serving clients all over North America. It has moved from being a place to help clients with the problems they know they have, to building a knowledge ware built on extensive research, that directs clients to what they didn’t know they don’t know. Jim is in a long term marriage with Shirley, and has two adult children. He is an active walker, and reader. 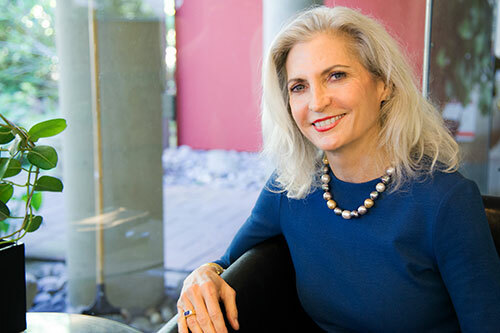 Susan is a certified integral master coach, interdisciplinary scholar-practitioner, university professor, organizational consultant, and futurist, who shaped her 25+ year career toward innovation and change in human systems. During her 1990’s research developing future scenarios for the U.S. in 2020, she recognized two high leverage factors critical to a positive future: business and women leaders. Since then she has acquired significant training in adult and organizational development, as well as the role of business as a transformative enterprise. Susan began her career in physics and engineering, working in the defense and semiconductor industries, earning multiple patents. She shifted into global change by operating an historic charter flight service between the Soviet Union and Alaska during the Cold War, subsequently providing consulting services for U.S. businesses during the early days of the Russian Republic. She has carried out consulting and research projects in multiple countries and contexts including China, Mexico, and India. She served as Vice President of Strategic Planning and Development for a demolition and remediation firm, helping them grow to one of the largest in the world. By recognizing the cultural shift toward sustainability, the company launched a recycling division that became its most profitable, and won state awards for environmental excellence. Susan also received state awards for her innovative corporate programs for workplace improvement and job training. Susan is currently an adjunct professor at Fielding Graduate University, Santa Barbara, California, in the Organizational Development and Leadership M.A. program, and was a co-founder of Kore Evolution, which has been designing and delivering highly successful university certificate programs in women’s integral leadership development since 2000. Her degrees include a B.S. in Engineering Physics, Texas Tech University; M.S. in Chemical Engineering, Purdue University; and a Ph.D. in Integral Studies, California Institute of Integral Studies. She has also served as an associate professor of management at Antioch University Seattle, and an adjunct professor with the Bainbridge Graduate Institute at Pinchot University, the first business school to offer an accredited MBA in Sustainable Business. Shirley offers her clients an environment of acceptance and deep listening, in which to discover their true desires for their lives. Her style is respectful, empathetic, gentle and discerning. Shirley’s clients say they value her ability to listen non-judgmentally and her warm encouragement. They feel accepted by her, able to share deeply and inspired to change and grow. Shirley’s calm perspective and skillful coaching have assisted her clients in making the changes they desire, at a pace they can sustain. Prior to coaching, Shirley was a trained social worker and spent 15 years counselling individuals, couples and families in a variety of social service settings. She has trained with Coach U, the Relationship Coaching Institute and Integral Coach Canada and has done extensive personal and professional development over her lifetime. She holds her Professional Certified Coach (PCC) credential with the International Coach Federation.